Instead of heading to the Mediterranean this summer, along with everyone else, why not embark on an exciting contrarian family vacation? We have been travelling to Asia with our young children for many years and love it for great cuisine, excellent service and diversity of thrilling things to do. Last summer we shunned the beaches of Europe for the antiquities of Cambodia with a stopover in Kuala Lumpur. July and August is actually the wet season in Cambodia but this worked out well for us as there were fewer crowds thus making it easier to explore Angkor Wat, other temples and the lake. It only rains for an hour or two in the late afternoon in any case so definitely not a showstopper. In Cambodia we stayed at the beautiful Phum Baitang resort famed for being one of the favourite hideaways of Angelina Jolie ever since she stayed there whilst filming Tomb Raider. Phum Baitang is a serene haven conveniently located a 10-minute tuk tuk ride outside the bustling, sometimes overwhelming, city of Siem Reap. Phum Baitang translates as “Green Village”. An all-villa resort designed by Paris based AW2 who also brought us Six Senses Con Dao. 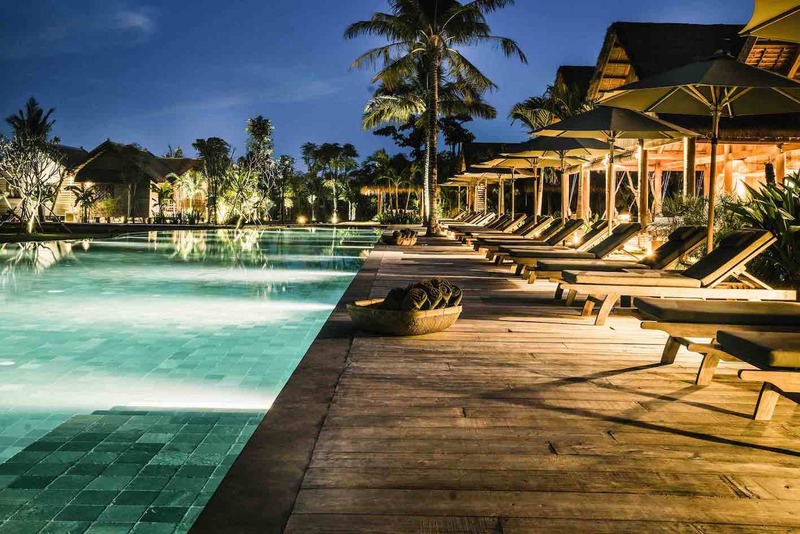 There are 45 villas on stilts each with a terrace or private pool spread across a vast expanse of lemongrass and paddy fields complete with two water buffaloes my son named Charlie and Lola! It is worth paying extra for the pool villas. You will appreaciate soothing dips in the pool when the temperature soars. The main pool available to all guests is however divine with a team of devoted staff to see to your every whim. The villas are chic and authentic. If chrome and glitz is your thing you may not like it here however anyone who adores clever use of natural materials will be at home - shutters made with woven bamboo leaves, high ceilings with exposed beams and gorgeous lush greenery all around. There are two great restaurants with a menu of expertly cooked Asian dishes and European cuisine. As you would expect from an Asian resort of this calibre service is exceptional - attentive and sincere. There is a Kids Club open 9am to 5pm offering a wide variety of activities exploring Cambodian culture - cooking classes, arts and crafts, water activities and more. Perfect for families! Babysitting is also available hence be sure to spend time in the Cigar Bar which is frequented by the two resort managers who join guests for drinks most evenings. Sitting on the terrace overlooking candlelit fields sipping a Singapore Sling was one of my highlights of the trip. The leaving gift of a beautifully presented miniature sack of rice from the resort’s paddy field is a decadent touch. I shall go back to Phum Baitang. Images courtesy of Phum Baitang.